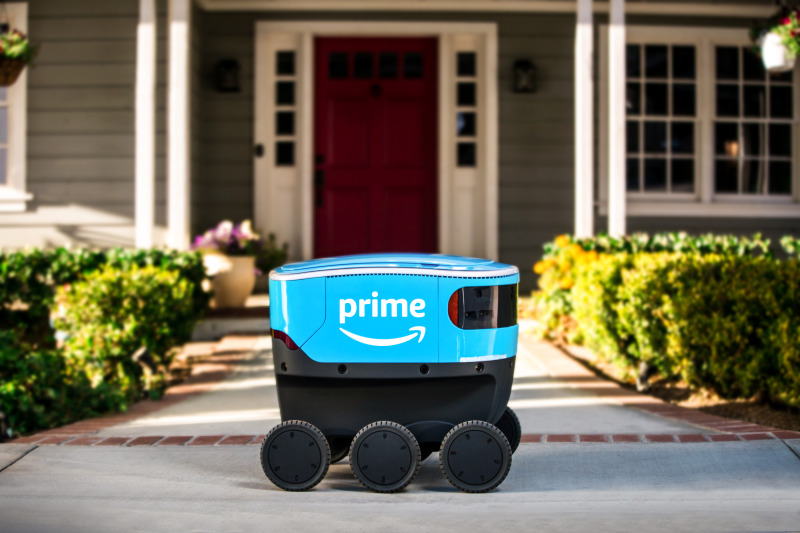 The online retail giant has developed a new, fully-electric delivery system – Amazon Scout – designed to get packages to customers in the US using autonomous delivery devices. The devices, created by Amazon, are the size of a small cool box, and roll along pavements at a walking pace. Last week they began delivering packages to customers in a neighbourhood in Snohomish County, Washington. The company is starting with six Amazon Scout devices, delivering packages Monday to Friday, during daylight hours. The devices will autonomously follow their delivery route but will initially be accompanied by an Amazon employee. Scout was developed at Amazon’s research and development lab in Seattle, in order to make sure the devices can safely and efficiently navigate around pets, pedestrians and any other obstacle in their path. Other delivery solutions Amazon is testing, include autonomous drones, dubbed Prime Air, which are already being tested in the UK.